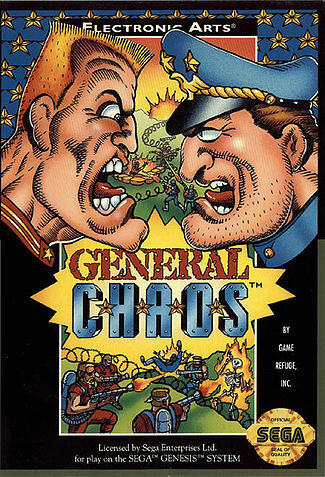 Retro: General Chaos (Genesis) - E-Sports Caribbean League Ltd.
General Chaos puts the player in the role of General Chaos as you command your faithful troops on a battlefield against the troops of General Havoc on the Sega Genesis. 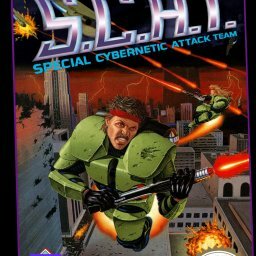 There is little information that exists about this title. 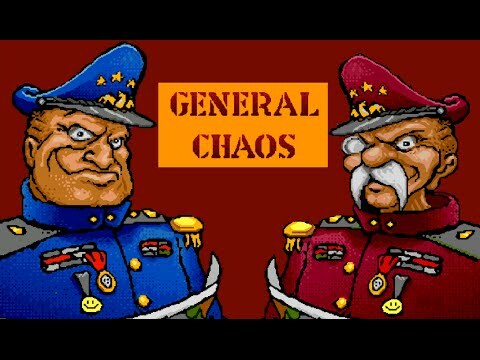 The game manual explained that General Chaos ‘the Blue General’ and General Havoc ‘the Red General’ were two brothers that were raised in a military family. They grew up constantly arguing with each other and running skirmishes trying to prove that one was better than the other. However, these always ended up in a stalemate. Over time, both generals gained large armies and decided once and for all a victor would be declared on an even playing battlefield. The five-man squad would be comprised of different combinations such as 5 Gunners or 2 Chuckers, 2 Scorchers and a launcher etc. and the two-man squad would be 1 Chucker and 1 Gunner etc. 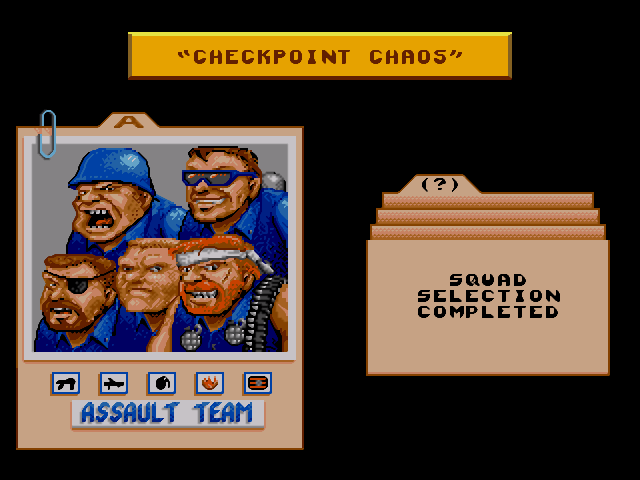 General Chaos is a self-explanatory game. You pick which squad you want, you go on the battlefield and kill everyone on the opposing army. 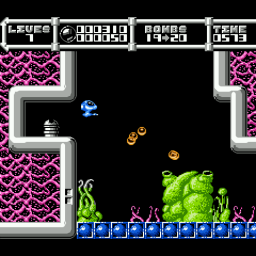 However, what makes this Genesis title unique is the controls. When you pick a 5-man squad, on the battlefield you use a cursor to control your squad. You can switch between each soldier on your squad and direct them where you want them to go. Being able to direct your squad is important because the terrain has objects and vehicles you can take cover behind. It can give you the strategic advantage you need to win. When you pick a 2-man squad, the controls are completely different. You now have control over one of the soldiers using the directional pad. The cursor is now gone and you can move with greater ease with one of the soldier and you could command the other soldier to follow you around the map. When you choose a 2-man squad, even though you have less men to fight with, you’re sacrificing assault power for more control of your squad. In some scenarios, it’s easier to win with a 2-man squad than a 5-man squad. It comes down to your preference. One other aspect of General Chaos is close combat fighting. 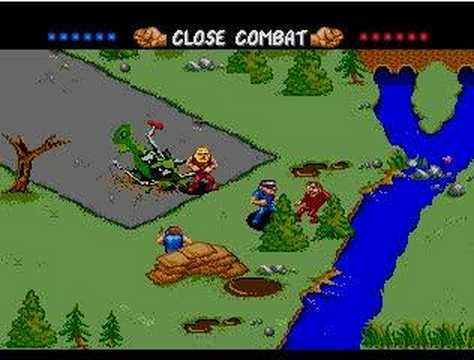 When two opposing soldiers run into each other they get into a scuffle, throws down their weapons and fights with their bare hands. While in close combat, you can punch and kick each other in the face, chest or groin until your health bar depletes. Close combat is a lot of fun, until the person who you defeat shoots you with a pistol. I’m not even kidding, that’s an actual thing and it’s completely random. It doesn’t matter if it’s a Gunner, Blaster or Chucker every soldier has a pistol. As mentioned earlier, it’s completely random whether you will get shot or not, when you’re on the receiving end it’s frustrating! You knocked the teeth out of the enemy soldier while you’re on full health and on the last kick he pulls out a gun and shoots you. Now that is cheap as hell! 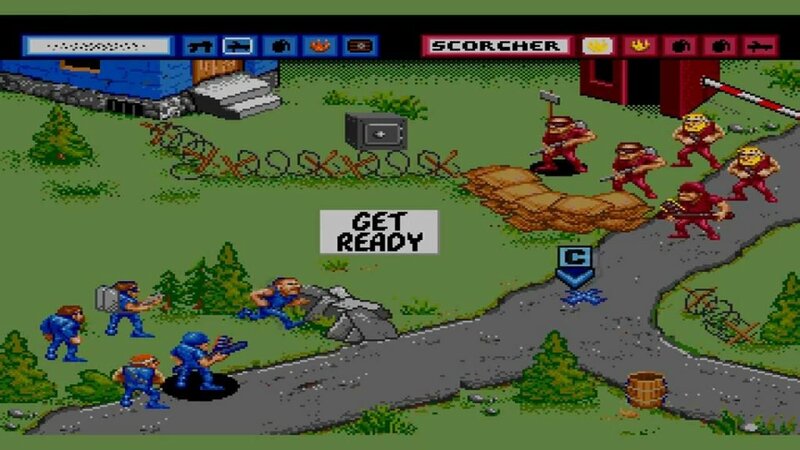 General Chaos is a fun action packed title. It doesn’t have much depth, but it does have some good replay value. You are given objectives during certain battles e.g. Protect the train or Destroy the supply depot. Depending on what you do during a match it can affect what stage and terrain you play on next.